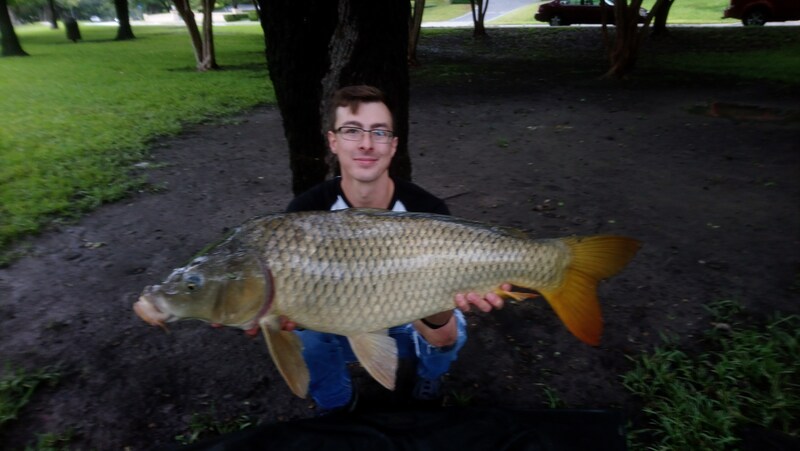 Register Log In Texas Fishing Forum Forums Rough Fish / Carp Nice Fish from New Waters! Headed out to explore some new areas this weekend and it paid off! Always love catching from new waters, even more so if the fish are nice and big. As always, all fish were released to fight another day! Not the best photo (passerby offered to take it, appreciate the help but I'll need to coach 'em next time! 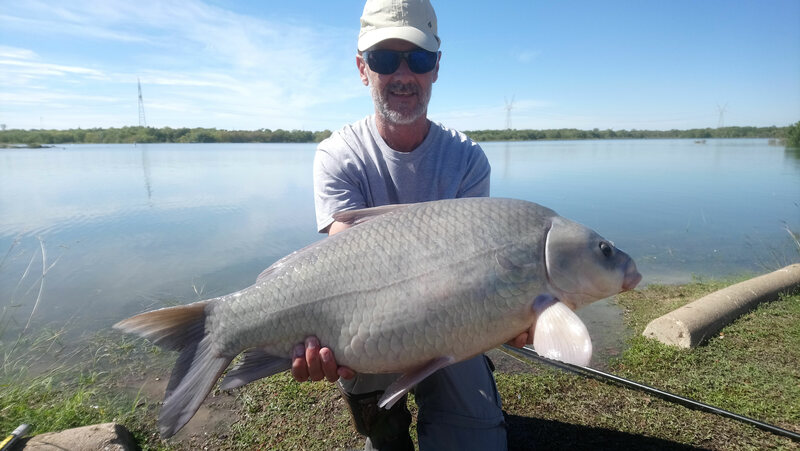 ), but certainly a great fish! This one was a pleasant surprise on a fairly slow day and went 20lb on the dot. All the commotion during the fight drew a crowd, even more so once the fish was out of the water and in my hands. A lady also took a photo and told me she'd put it in the sports section of "the paper." Only wish I'd thought to get the name of the publication! 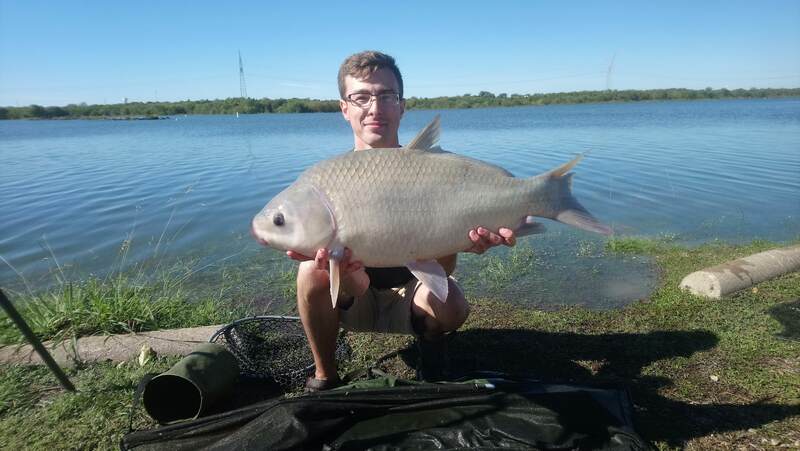 Managed to net his girlfriend soon after! She ran a cool 19.5lbs. If you look on the mat, you can see a slightly red-tinged pool of water. 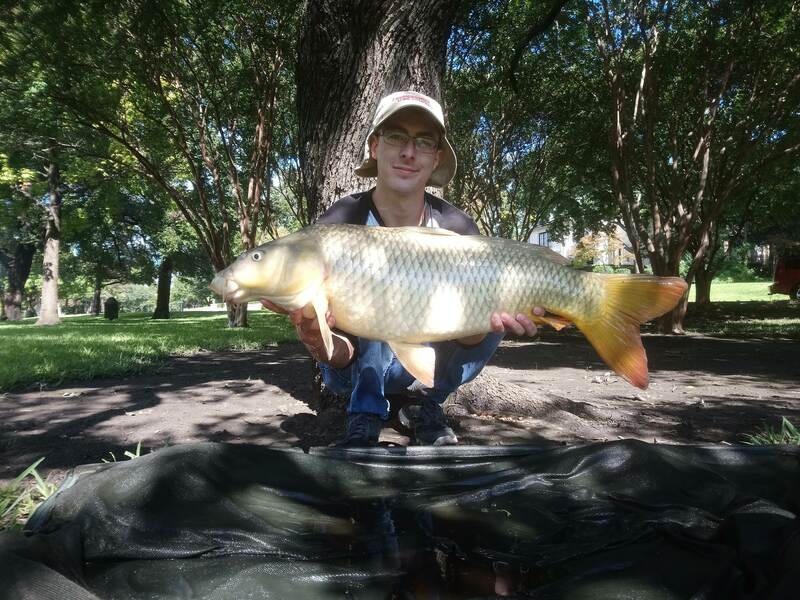 When female carp are under stress, they can bleed from their gills. It's normal, and people who raise koi often experience this when transporting/handling fish. Explaining that to the crowd that I once again drew was actually easier than expected! 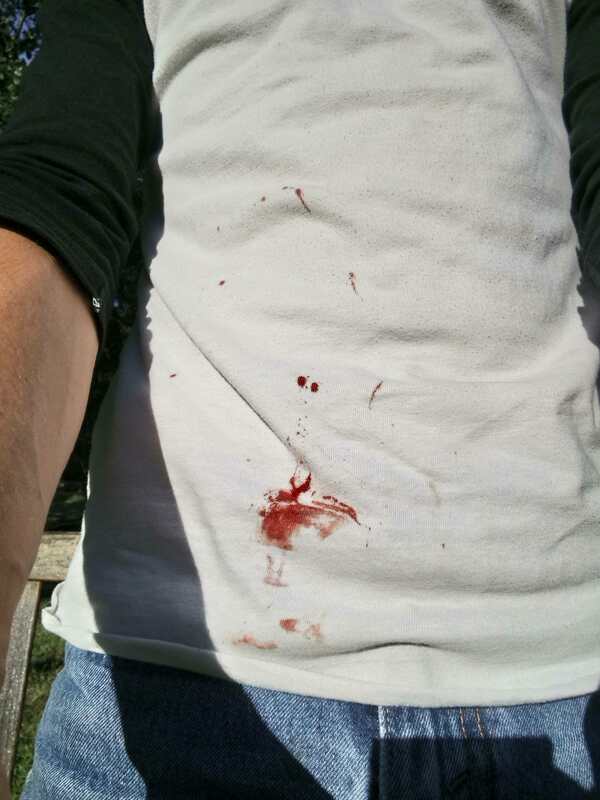 I didn't realize until ~3 hours or so after I caught the fish above, but I'd smeared a bit of blood on my shirt. I was walking around in public in a blood spattered shirt, probably not the best look. Good thing I had a spare in the car! Caught a couple others but nothing too notable, did have a swarm of bullheads in the middle of the day that would barely bite and sit still chewing on the bait. Annoying little buggers, but some were a decent size! Donovan with the first significant capture, a gorgeous 20lb 2oz Smallmouth Buffalo. The lake we were fishing was 8ft over full pool! The fish were loving all the new vegetation and food available to them and just gorging themselves. Breaking in the new lake with a really solid fish! This brute weighed 27lbs. I absolutely love these fish! Off topic, but I think I need a haircut. Just look at that mess! 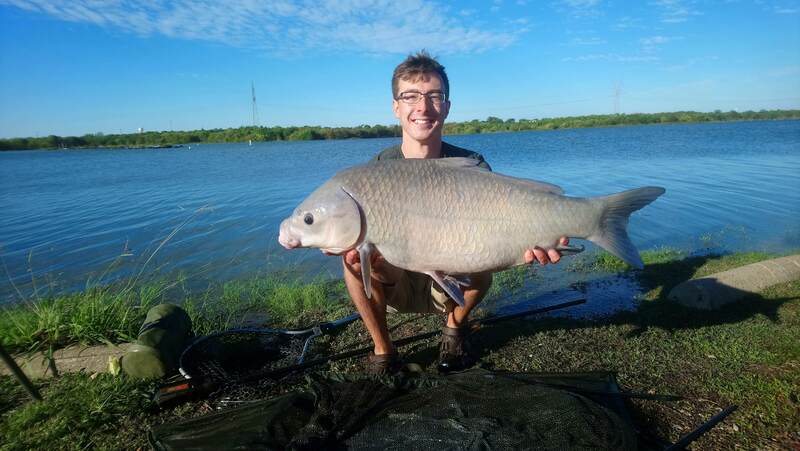 16lb buff with a huge head! 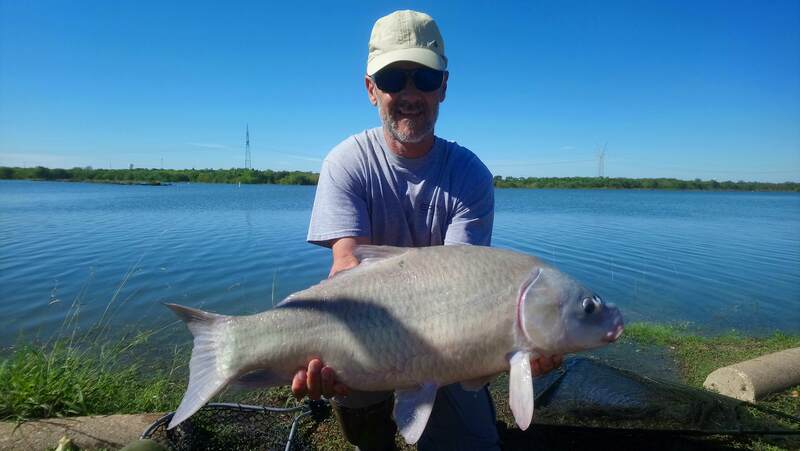 16lb 6oz, really cool to see such variety in body and head structure in these fish. 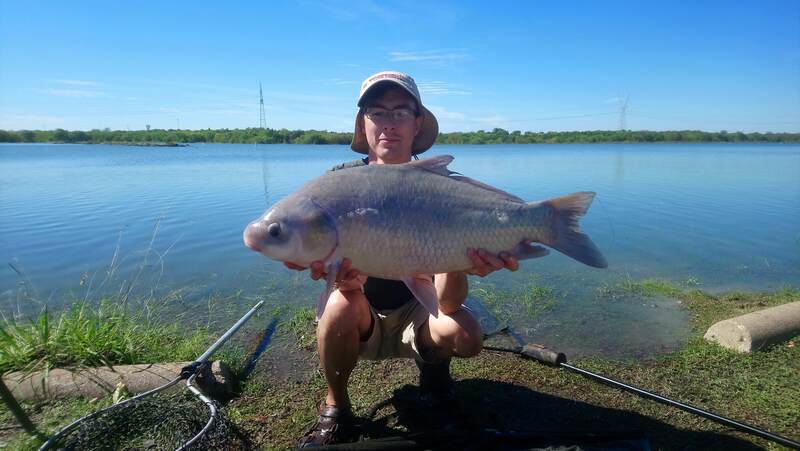 15lbs, my smallest buffalo for the day. Donovan finishing strong with this 21lb 12oz chunk! Needless to say with all these excellent captures I'll surely be revisiting both of these places. Can't wait to see what else lurks in the depths! I beleave you could catch fish from a mud puddle! Keep up the GREAT fishing. You are having a SUPER year! As always solid post and solid fish. Good job guys. Awesome pics! I'm seeing why you love the buffs. Great fishing guys. Love your post TxMulti-Species. I believe you could catch fish from a mud puddle! Nothing near this size but I'll certainly be trying to get some micro species to bulk out my species list! If anyone can you can! Keep posting those super post and super fish. 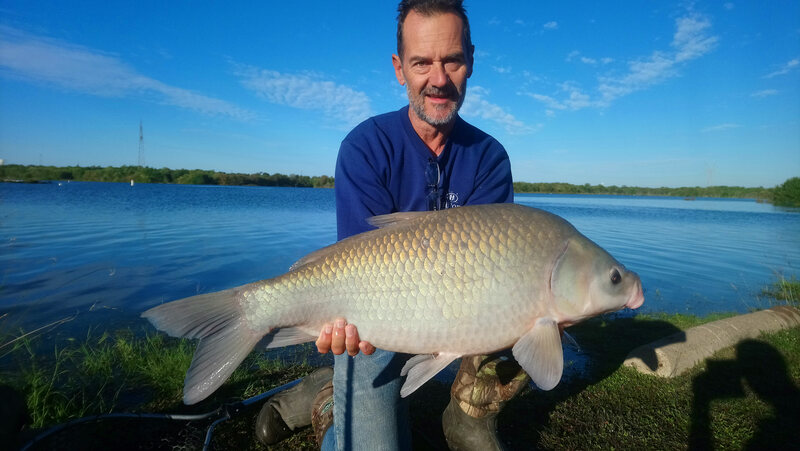 Nice post and fish! Good job. Side Note: You never have to many places to fish! Thanks Gitter and Pot Licker!